This is "CH Latin of Course"
Over 40 years of being involved in the dog breeding community has led me to share this site with you. Dog training and dog behavior, Dog breeding and caring for many litters of puppies, veterinary visits, educational seminars, attending trade shows, listening to teleconference calls, learning nutritional needs and many more educational events over the past 40 years laid the foundation for what I have learned…and today I share that with all new puppy homes. 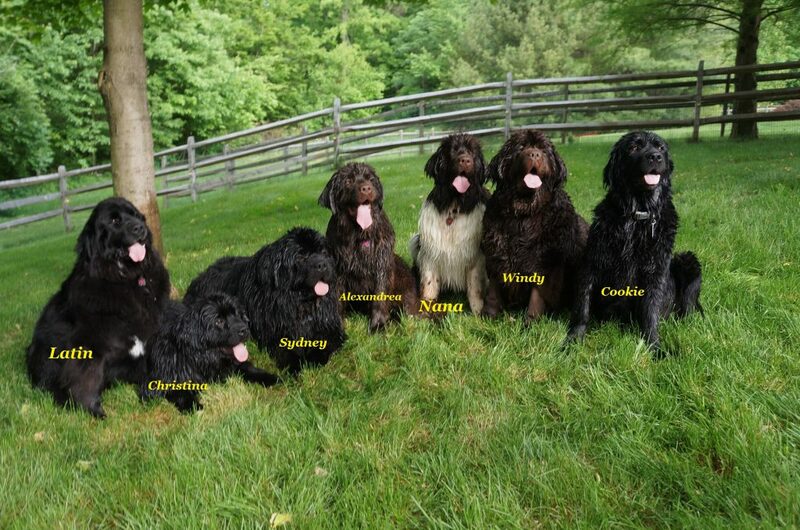 This website is named after one of my family Newfoundland’s “Latin” and of course we are glad you found us. system needed to make this decision. NEWFOUNDLANDS ARE NOT THE PERFECT BREED FOR EVERYONE. As a breed, they have a few characteristics that some people find charming, but that some people find mildly unpleasant, and some people find downright intolerable. 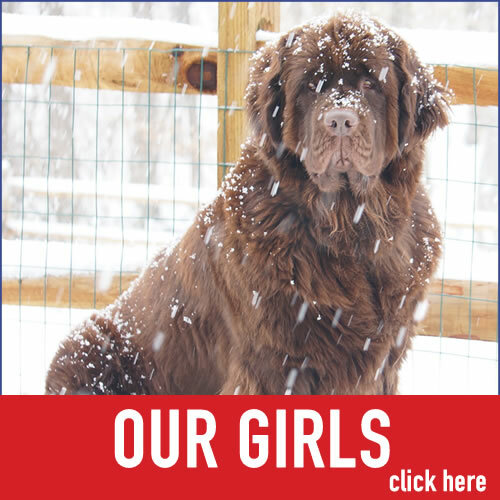 DON’T BUY A NEWFOUNDLAND IF YOU ARE ATTRACTED TO THE BREED “CHIEFLY” BY ITS APPEARANCE. The appearance of the Newfoundlands you have seen in the show ring is the product of many hours of bathing and grooming. The natural look of the Newfie is that of a large, shaggy farm dog, usually with some dirt and weeds clinging to his tousled coat. The true beauty of the Newfie lies in his character, loyalty and devotion. DON’T BUY A NEWFANDLAND IF YOU ARE UNWILLING TO SHARE YOUR HOUSE AND YOUR LIFE WITH YOUR DOG. Newfies were bred to share in the work of the family and to spend most of their waking hours working with the family. They thrive on companionship and they want to be wherever you are. They are happiest living with you in your house and going with you when you go out. A puppy exiled from the house is likely to grow up to be unsociable, unruly, and unhappy. DON’T BUY A NEWFOUNDLAND IF YOU LACK LEADERSHIP (SELF-ASSERTIVE) PERSONALITY. Dogs do not believe in social equality. They live in a social hierarchy led by a pack-leader (Alpha). Like the untrained dog, the pack-leader dog makes his own rules and enforces them against other members of the household by means of dominance. Leadership, training and communication are inextricably intertwined: leadership personality enables you to train your dog, and being trained by you reinforces your dog’s perception of you as the alpha. DON’T BUY A NEWFIE IF YOU DON’T VALUE LAID-BACK COMPANIONSHIP AND CALM AFFECTION. A Newfie becomes deeply attached and devoted to his own family, but he doesn’t “wear his heart on his sleeve.” Some are noticeably reserved, others are more outgoing. DON’T BUY A NEWFIE IF YOU ARE FASTIDIOUS ABOUT YOUR HOME. 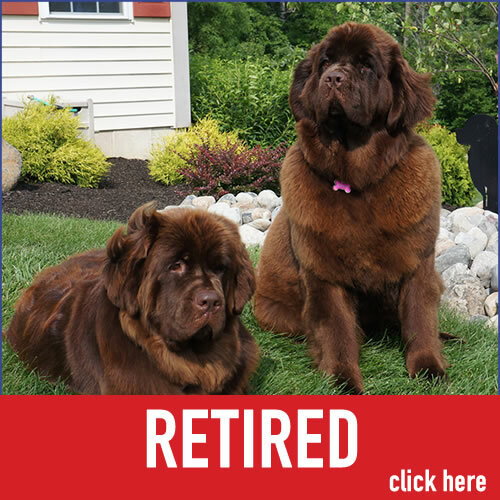 The Newfoundland’s thick shaggy coat and his love of playing in water and mud combine to make him a highly efficient transporter of dirt into your home, depositing the same on your floors and rugs and possibly also on your furniture and clothes. Newfoundlands are seasonal shedders, and in spring can easily fill a trash bag with balls of hair from a grooming session. DON’T BUY A NEWFOUNDLAND IF YOU FIND DROOL TOTALLY REPELLANT. Some Newfie owners begin with some degree of distaste for drool, but as this is an integral part of the Newfie, this dislike usually progresses to some level of nonchalance. Newfie’s drool because of their jaw and mouth structure, which allows them to breath while performing water rescue. This is a quality inherent in the breed. DON’T BUY A NEWFIE IF YOU DISLIKE DOING REGULAR GROOMING. The thick shaggy Newfoundland coat demands regular grooming, not merely to look tolerably nice, but also to preserve the health of skin underneath. DON’T BUY A NEWFIE IF YOU DISLIKE DAILY EXERCISE. Newfie’s need exercise to maintain the health of heart and lungs, and to maintain muscle tone. Because of his mellow, laid-back, disposition, your Newfie may not give himself enough exercise unless you accompany or play with them.